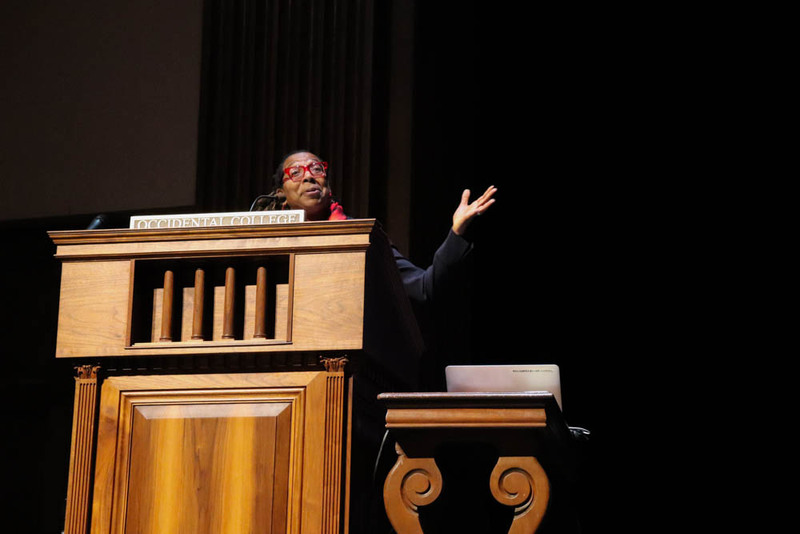 The Occidental College chapter of Phi Beta Kappa brought Kimberlé Crenshaw, a law professor at the University of California, Los Angeles (UCLA) and Columbia University, to campus as the 2019 Occidental College Phi Beta Kappa speaker April 5. Phi Beta Kappa is described as the oldest academic honor society in the United States, and the Occidental chapter of Phi Beta Kappa was established in 1926. Crenshaw spoke as part of the Phi Beta Kappa Lecture Series, which is funded by Occidental alumnus Robert Merriam Ruenitz ’60. According to Renee Baran, professor of biology and faculty member of Phi Beta Kappa, Reunitz contributed $320,000 to Occidental for the Ruenitz Lecture Series, enabling the college to bring one speaker to campus in the spring for a free lecture open to the campus community. 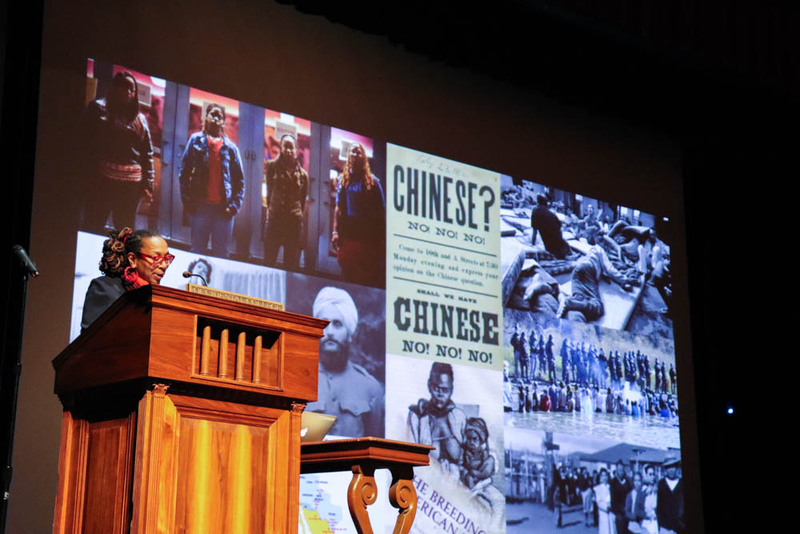 Crenshaw’s lecture was titled, “Thirty Years of Theorizing Justice: Intersectionality, Critical Race Theory, and Contemporary Challenges.” Crenshaw started her speech by addressing the different contemporary challenges that have arisen in regard to intersectionality since she started her work almost 30 years ago. She termed the resistance to intersectionality as the “Intersectionality Wars,” where she has observed discontent regarding intersectionality manifest in different ways. Crenshaw spoke about intersectionality critics’ tendency to label straight, cisgendered white men as the new persecuted class. Crenshaw said liberals and moderates blame identity politics for the erosion of a national liberal consensus. Crenshaw went on to recount her personal life story, breaking it down into four distinct stages — “Tangled Roots,” “Everything Changes,” “Pedagogies of Resistance” and “Back Doors No More.” “In Tangled Roots,” Crenshaw revisited a childhood memory set in Ohio, where she grew up as the daughter of two schoolteachers. In school, Crenshaw’s class acted out a fairy tale entitled “Thorn Rosa.” The titular character, Thorn Rosa, was meant to be a beautiful princess who Crenshaw was determined to play. However, despite her persistent efforts to secure the role of Thorn Rosa, the school year ended with Crenshaw never having played the role of Thorn Rosa. Crenshaw concluded the Tangled Roots section, stating that this was when she realized even fairy tales were racially segregated. Continuing on through her life story, Crenshaw recounted the effects of Martin Luther King, Jr. and her father’s death on her life. Crenshaw’s father attended law school during her youth, inspiring her to pursue a law degree of her own. In the last section of her life, titled “Back Doors No More,” Crenshaw recounted an incident during her time in law school when she and a friend were invited to an exclusive, predominately male, social club. Upon approaching the club’s front entrance, Crenshaw and her friend were told Crenshaw would have to enter through the back door, as women were not allowed to enter the club through the front. This incident prompted Crenshaw to state that she could not stand in solidarity with movements that did not wholly advocate for her. During her lecture, she went on to list various solidarity movements she did not participate in due to their exclusion of women of color, including President Barack Obama’s “My Brother’s Keeper” initiative. “I will not ride or die for a politics that will not ride or die for me,” Crenshaw said. Baran said the process of choosing this year’s speaker was decided by the members of Phi Beta Kappa. Students are invited to join Phi Beta Kappa depending on their academic record from their junior year, with 10–12 students being selected. Baran said there was an effort to diversify the lecturers chosen to speak, especially when considering that the last two Reuintz Lectures had been given by white men. 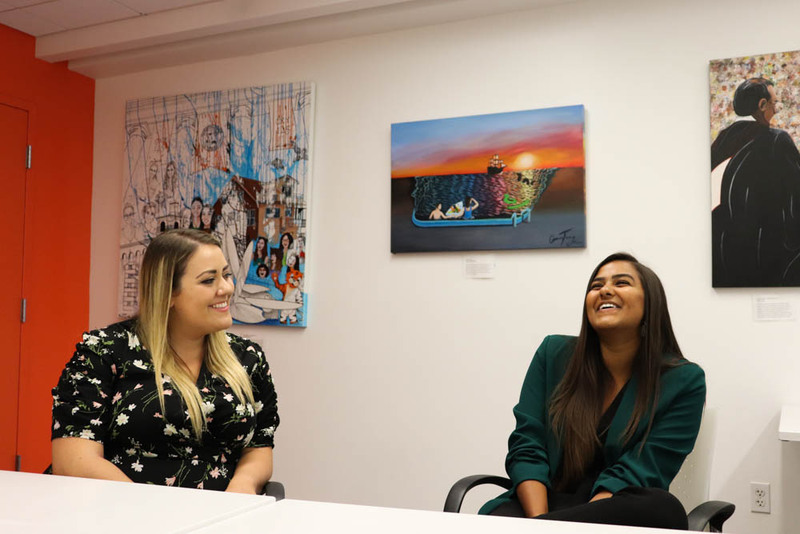 Asha Hanstad (senior) and Katelyn Fink (senior) are both current members of Phi Beta Kappa and were part of the decision-making process for choosing Crenshaw as this year’s speaker. Fink echoed Baran’s comments on the need to diversify the speakers selected. Hanstad spoke about her efforts to open access to broader student input regarding choosing this year’s speaker, beyond just the student members of Phi Beta Kappa. Hanstad said Crenshaw was a speaker who would resonate with a majority of the student body and was relevant to campus culture. Hanstad said the term “intersectionality” — a term Crenshaw pioneered and developed — has been stripped of its true meaning in organizing spaces on campus.